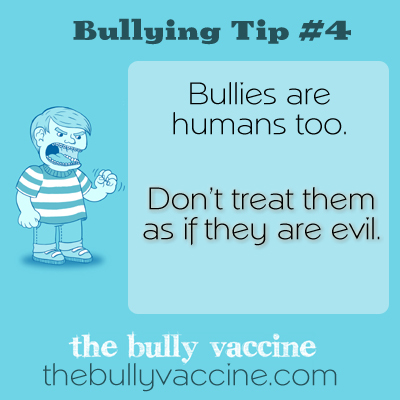 Bullies are human Too – Don’t treat them as if they are evil. We can’t get bullying to stop if we refuse to understand why bullies bully in the first place. Why bullies bully and how to get it to stop.